It delights me when scientists discover or invent something that helps me better appreciate spiritual realities. The holograph is an example. A holographic image is created using laser light, reference beams, interference patterns, and so on, but the end result is a three dimensional presentation of the original. You can walk around a hologram and see the image of the original from all angels and perspectives. 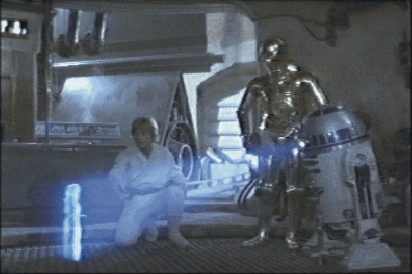 But this is not the part that intrigued me most when I first learned about holograms. What fascinated me was the fact that the whole holographic image is encoded into every part of the record. In other words, if you take just a fragment of the image medium and shine the laser reference beam through it then the full hologram will appear in all its details. Every part of the medium contains the full image. This helps me to understand something about Jesus. The Lord Jesus Christ, while He was on Earth, was a man, yet He contained the full image of the Godhead; He was fully man and fully God. As a fragment of a holographic medium contains the full image of the original, so Jesus Christ in His limited humanity presented the fullness of God. Colossians 2:9 records that ‘in Christ all the fullness of the deity lives in bodily form.’ The ‘laser’ light of Heaven shone through the man Jesus and we saw the full representation of God. I used the past tense in the previous paragraph, but Jesus still exists as the eternal God-man and He is still the full presentation of the Godhead to humanity. If we want to know what God is like we still look to Jesus. But, now that Jesus no longer walks on earth in the flesh, how do we see Him? We perceive Jesus, the full image of the invisible God, with the help of another sort of holograph, a literary holograph. The Bible is, in a sense, a sort of holograph. The revelation of Jesus is encoded in it. His image is in all its parts and we can perceive Jesus when the laser light of the Holy Spirit shines through it. The image of Jesus, projected through the medium of the scriptures, reveals to us who God is, how He thinks, what His values and priorities are, and what His attitude is towards us and the world. So, if you want to know God then look to Jesus. If you want to know Jesus look to the Bible.